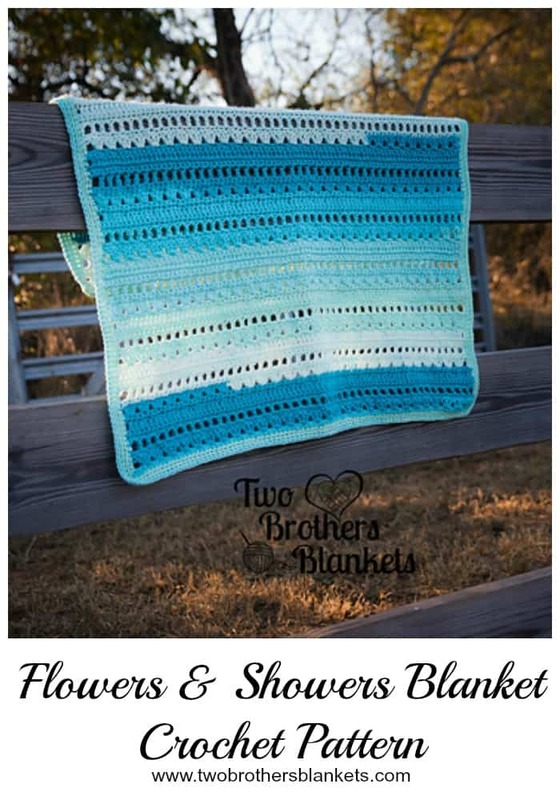 Two Brothers Blankets - Page 9 of 10 - Modern, Stylish, and Simple Crochet Patterns! You can purchase the ad-free, printable version of this pattern on Ravelry or Etsy! Hat is worked from the bottom up. Starting chain 1 does not count as first stitch. Hat is made in the Fair Isle crochet style. Unused yarn is floated behind the stitches until it is used again. Watch your tension throughout the workup. Don’t pull your floats tight behind the stitches. Pattern is written in toddler size with larger sizes in parentheses as follows: Toddler (Child, Adult). Scroll down for graph to follow and photo tutorial. Pattern is written as number of stitches to work with what color to use as follows: 2 (MC), 2 (CC). Some helpful tutorial videos from Crochet Ever After can be found HERE. Rounds 3-66(72, 78)- Repeat round 2. Sew both ends of the brim together by slip stitching through both stitches across. Turn brim to the other side and continue to Body of Hat. Fasten off leaving a long tail to close. With a tapestry needle, weave the tail in and out of the stitches in round 20. Pull tight to close. Fasten off. Weave in ends. Add Pompom to top of hat. To follow chart, start with row 15 and work your way across each column, left to right. Then work your way up each row. Row 15 = Round 2 in written instructions. To change colors, instead of finishing out the last stitch before you go to the next color, pull the next color through the 2 loops for the last step of your stitch. This will finish out your last stitch and start you off with the new color for your next stitch. To catch your float when working 7 stitches or more in the same color, simply grab your non-working yarn when working a middle stitch and then drop it again until your next color change. There you have it! I hope the written instructions with the chart makes it easy for you to work up, but if you ever have any questions, please feel free to contact me at any time! 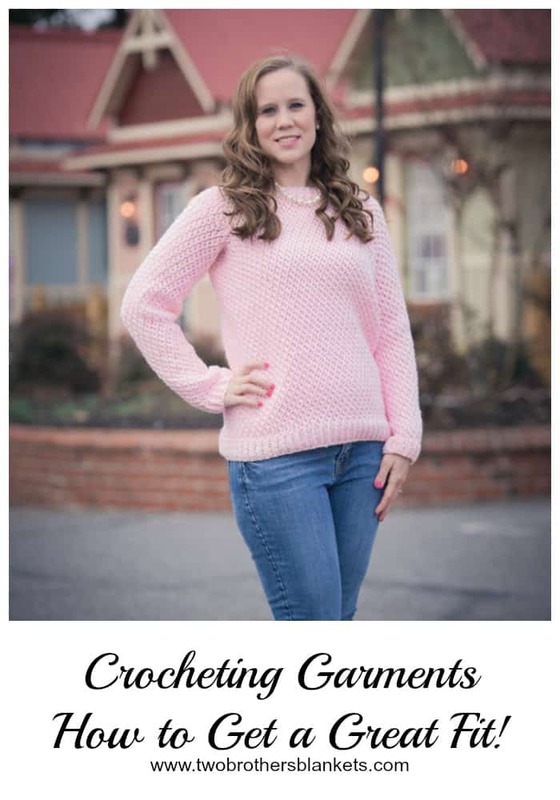 Crocheting Garments – Tips to Get a Great Fit! If you’ve been following me for any amount of time, you know that a lot of my crochet designs are clothing. I love to design sweaters and tops for both adults and children! But with crocheting garments, like a sweater, comes a lot of questions and concerns. Mostly about fit and how to get it to fit your shape and size correctly. 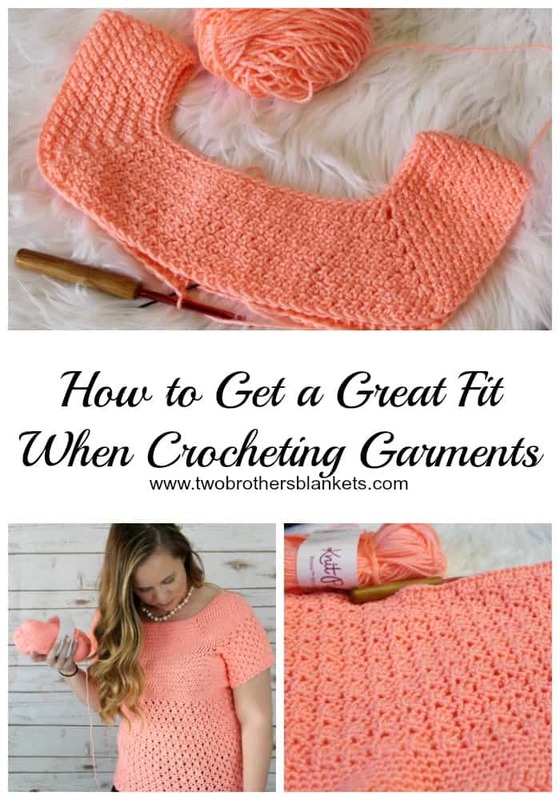 So here are my best tips for crocheting garments and getting an amazing fit! Crocheting a piece of clothing like a sweater takes a little more preparation than something small like a hat or a scarf. Here are some tips for preparing for your project. 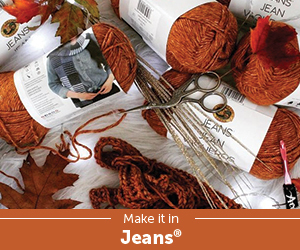 Choose the yarn called for in the pattern or a comparable yarn. At the very least, stay within the yarn weight that the pattern calls for. You will not get the same fit and look if you use a DK weight yarn if the pattern calls for Bulky yarn and vice versa. 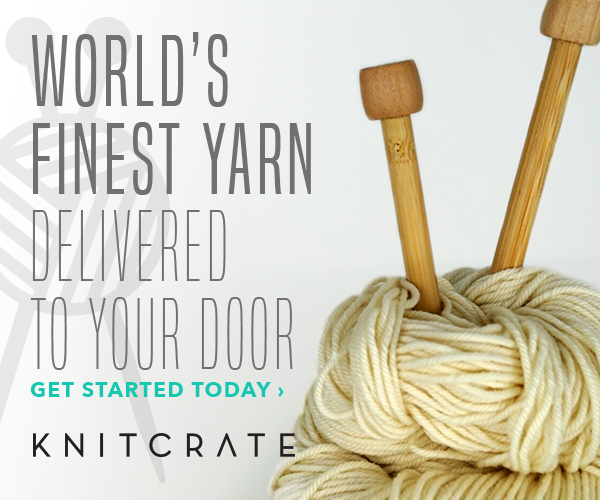 Make sure you have the amount of yarn you need. I always get more than the amount needed for my size, just to be on the safe side so I don’t run out mid-project. Get measurements. If you are making the clothing for yourself, it’s a little easier because you can try it on as you go. But if you are making the piece for someone else, it’s very important to take their measurements for a good fit. ALWAYS check your gauge and match your hook size appropriately. Gauge is very important to check when working on a crochet clothing project. 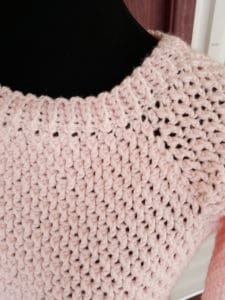 Most of my patterns have multiple sizes for you to make, but what if you are slightly in between sizes, would like just a little bit more ease, or would like it a little tighter? There are ways to easily adjust the fit just slightly so that the garment can fit you exactly how you want it! Go up a hook size or two (from the hook you met gauge with) if you’d just like a little more ease in your top. Go down a hook size or two for a slightly tighter fit. If you are right in between sizes, I suggest going up a size, rather than down to the smaller size. Almost all of my patterns are super easy to adjust the length. You can just do more or less rounds to make your garment longer or shorter. This same trick can also be applied for sleeves. 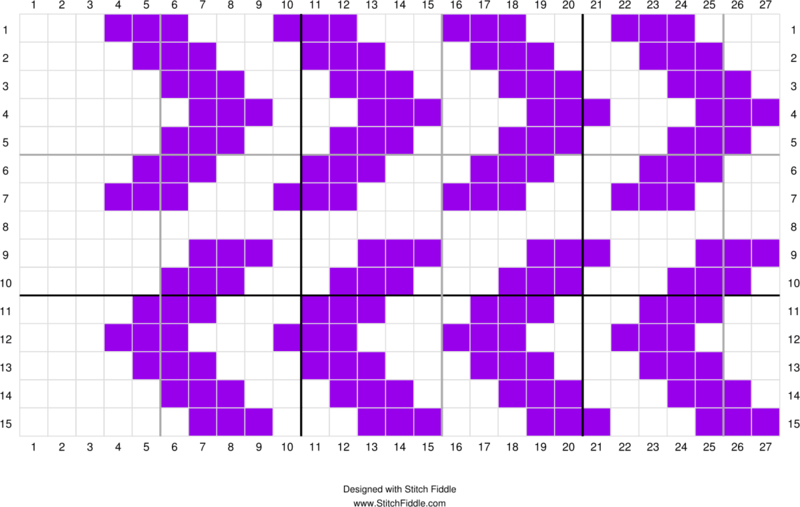 If the pattern calls for chainless foundation single crochet (fsc) to start, but your tension is pretty loose for this stitch, you may want to just chain, join, and sc in each stitch around. This will make it less stretchy and loose around the neck. Or if it’s the opposite and it calls for a starting chain, but you want it to fit looser and be stretchier around the neck, fsc is a great option. If you just want a slight change in the neckline, going up or down a hook size will also help with this. Just remember, the weight of your sleeves, once added, will pull the neckline out just slightly. sit lower and not be so tight around your underarms. An easy fix for a slightly looser or tighter fit in the sleeves is, once again, going up or down a hook size. If the sleeves are very tight or very loose, try working the counts for the next size up or down. Also, if the sleeve tapers, and you would like it not to, just leave out any decreases throughout the sleeve. Or if you’d like it to taper more, do another round or two of decreases throughout the sleeve. Most adjustments work the same way for a bottom up garment, but there are a few changes that you would have to make differently. If the armholes feel too small or too high in your underarm, just make your front and back panels longer before joining. For the neckline, if you’d like a looser fit, work less stitches when stitching your two panels together. And as always, please feel free to contact me at any time if you have trouble or questions with one of my patterns! The Gatlinburg Hat pattern was originally designed during the devastating wildfires taking place in the smoky mountains. A portion of the pattern sales were donated to the relief efforts. The crochet community came together in such an amazing way! This hat is made with fair isle crochet techniques. It is very much like tapestry crochet except you float your yarn along the back instead of working around it in your stitches. This technique is a great way to create different pictures within your crochet! This pattern is a great beginner pattern for those who have never done fair isle or tapestry crochet. The pattern includes written instructions, links to video tutorials, picture tutorials and a graph! 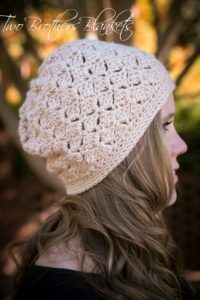 All you need is some worsted weight yarn in at least two of your favorite colors to create this hat! 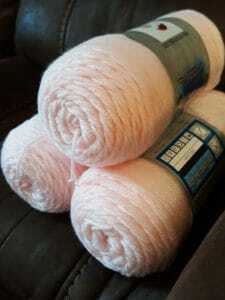 I personally love Hobby Lobby’s I Love this Yarn because it is so soft and warm, making it perfect for winter hats! 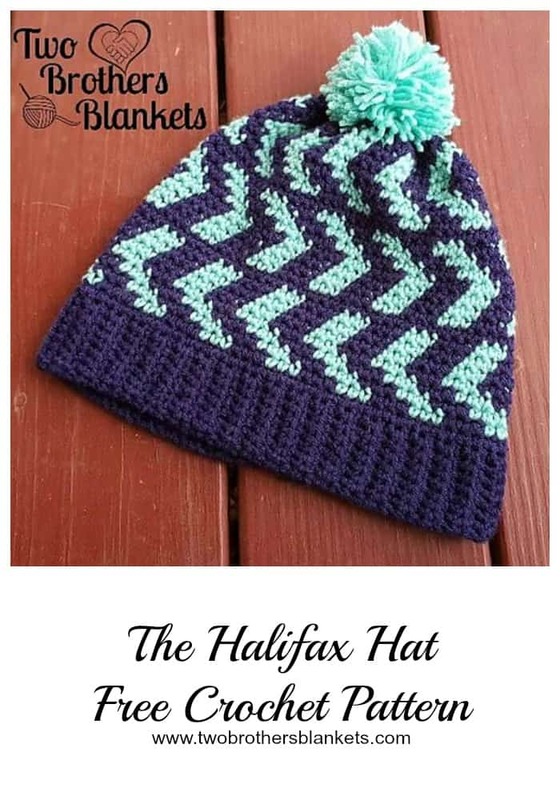 If you want to practice your fair isle crochet technique before purchase a pattern, you can try the Halifax Hat crochet pattern, which is free! Go HERE to purchase the Gatlinburg Hat crochet pattern on Ravelry! 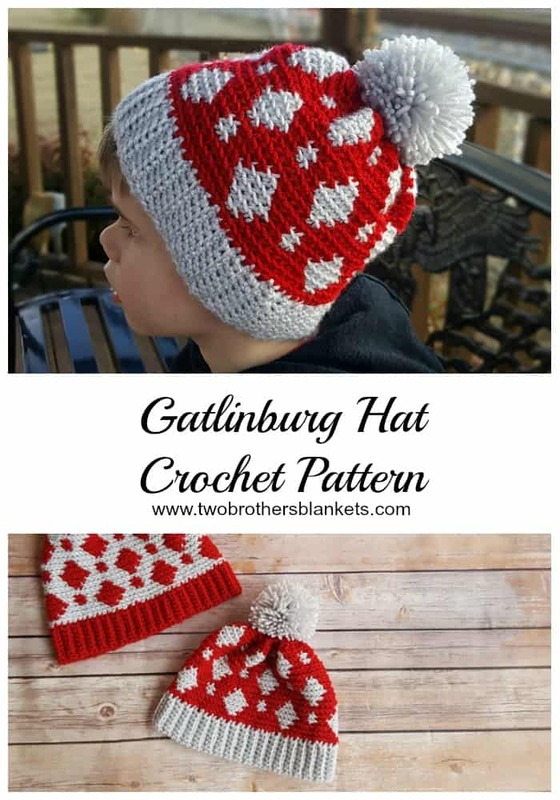 Go HERE to purchase the Gatlinburg Hat crochet pattern on Etsy! This week has been a crazy week! It’s nice to take a look at my weekly sales and listing clicks to see what is doing well this week! 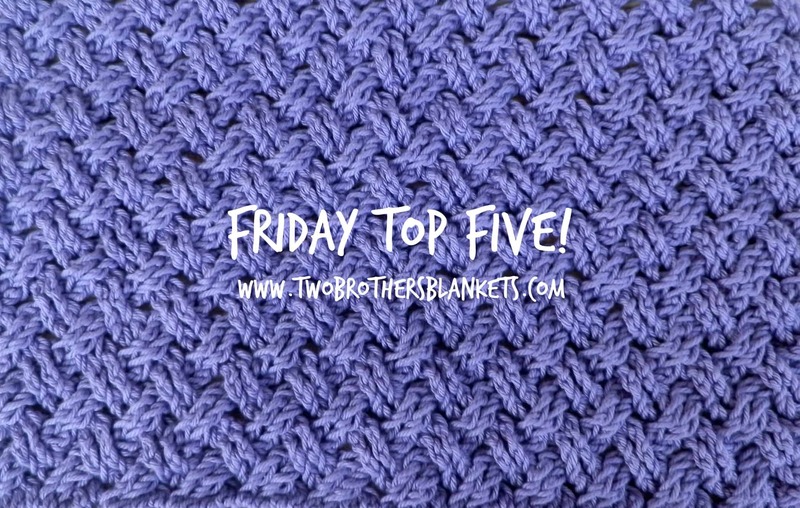 So here are my Friday Top 5 for the week! 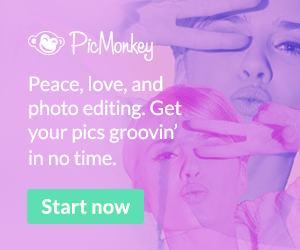 Remember, scroll through them all to find a coupon code at the end! It comes to no surprise that the Boston Slouch is #1 since it is a brand new published pattern. 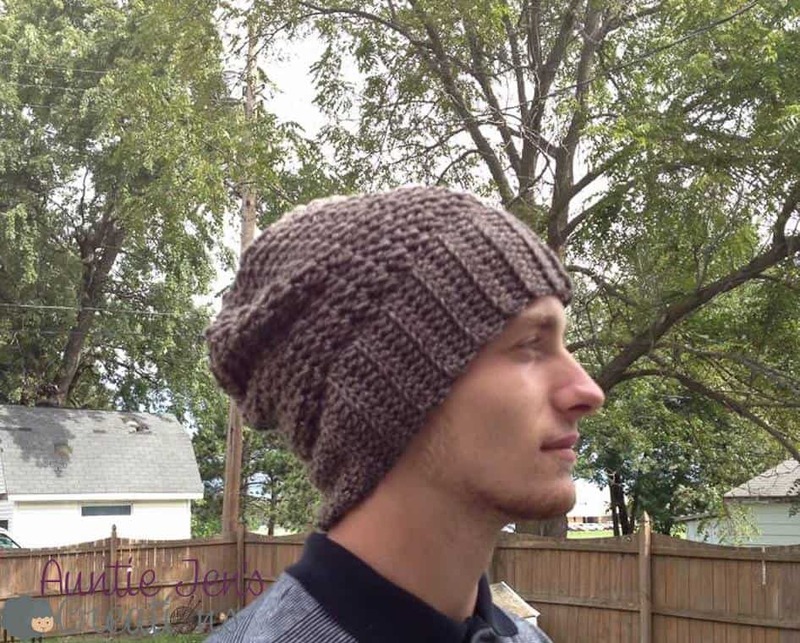 It is a great unisex hat that works up easily and quickly! You can’t go wrong with a Boston Slouch! The Dallas Hat is next on my list. Which isn’t too surprising either. It only released two weeks ago and it’s SO fun to make! This is a great hat to donate, gift, or make for yourself! The Katie Tote is easy, fun, and quick! A great project for this time of year! I am missing summer already! This top is perfect for a day at the beach! 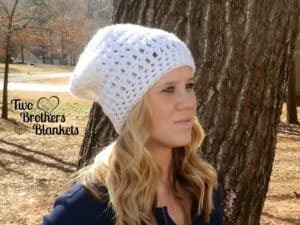 This is a forever FREE pattern and is SO easy, just like it’s name! The pattern has been recently updated to my new template with easy to read instructions! You can get 30% off on any of these paid patterns by using coupon code “FridayTop5” at checkout! Each title of the pattern below the photo is linked to that particular listing on Ravelry. Have a great weekend! 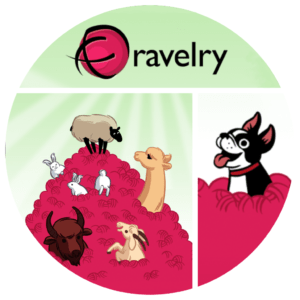 Each week I like to look on Ravelry and see which of my patterns are being downloaded and sold the most! I’ve decided to create a segment here on my blog to share with your my Top 5 patterns of the week AND give you a little bit of a discount on them! Keep reading for details! Still a huge fan favorite, the Katie Cardi is perfect for any season since the length and sleeve length is adjustable! I think we are all still trying to hold on to summer with this one! 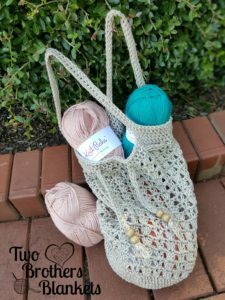 A super easy and fun workup with 3 length options! Did you know this is my first ever bag design?! I love mine! Especially the beads! One of my newest designs, the Siesta Sweater is a crowd pleaser! A simple workup with an amazing result! This pattern was released this week and is FREE! The color possibilities are endless! 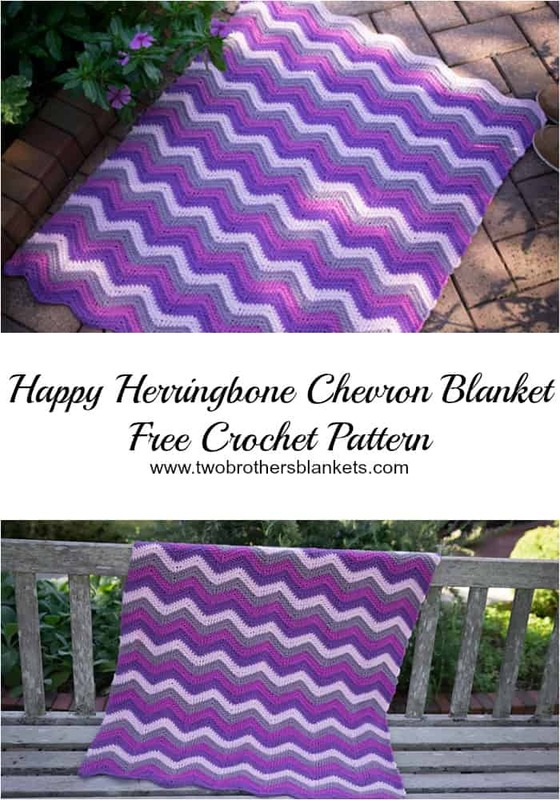 This post- Happy Herringbone Chevron Blanket Free Crochet Pattern- may contain affiliate links, which means if you make a purchase from the links below, I will get a small percentage of the sales at no additional cost to you. Thank you for your continued support! I LOVE the Herringbone Double Crochet stitch and I love sport weight yarn, so I combined the two to create this fun baby blanket! 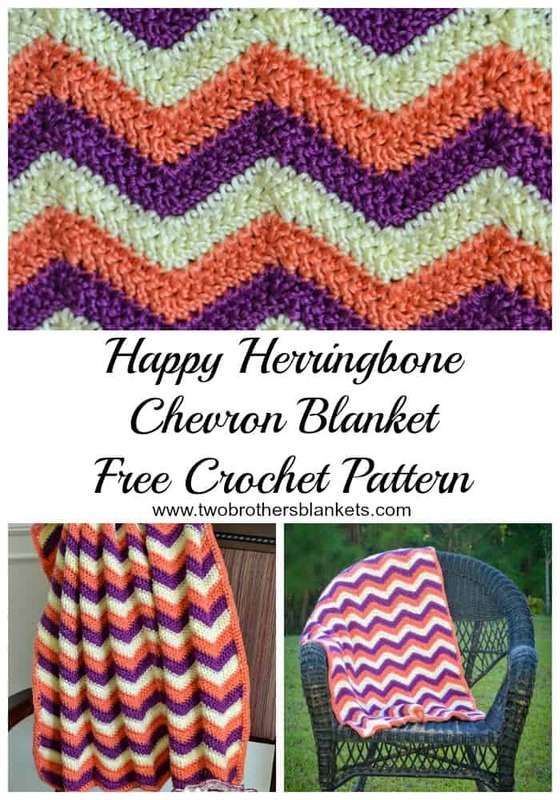 The Happy Herringbone Chevron Blanket can be made in any color combo you’d like! 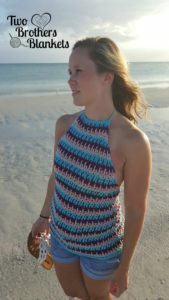 I used Knit Picks Brava Sport for this pattern and it worked up beautifully! 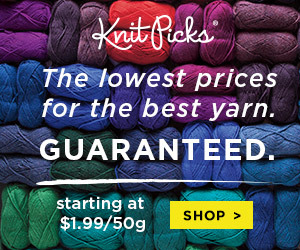 Brava Sport is one of my favorite yarns to work with because it is soft, sturdy, and very affordable at just $1.99/skein! 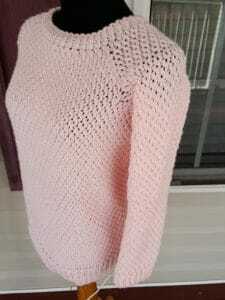 Make the blanket as wide as you like by chaining multiples of 16 + 2 until desired width. 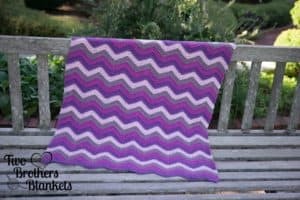 Blanket pictured is made with 4 different colors, changing colors every 2 rows. herr-dc2tog- yarn over, insert hook into st, draw up a loop and pull through 1 loop on hook, yarn over, pull through 1 loop, yarn over, insert hook into next st, draw up a loop and pull through 1 loop on hook, yarn over, pull through 1 loop, (3 loops on hook at this point), yarn over, pull through all 3 loops. herr-dc3tog- yarn over, insert hook into st, draw up a loop and pull through 1 loop on hook, yarn over, pull through 1 loop, yarn over, insert hook into next st, draw up a loop and pull through 1 loop on hook, yarn over, pull through 1 loop, yarn over, insert hook into next st, draw up a loop and pull through 1 loop on hook, yarn over, pull through all 4 loops. Rows 3- 72: Repeat round 2. 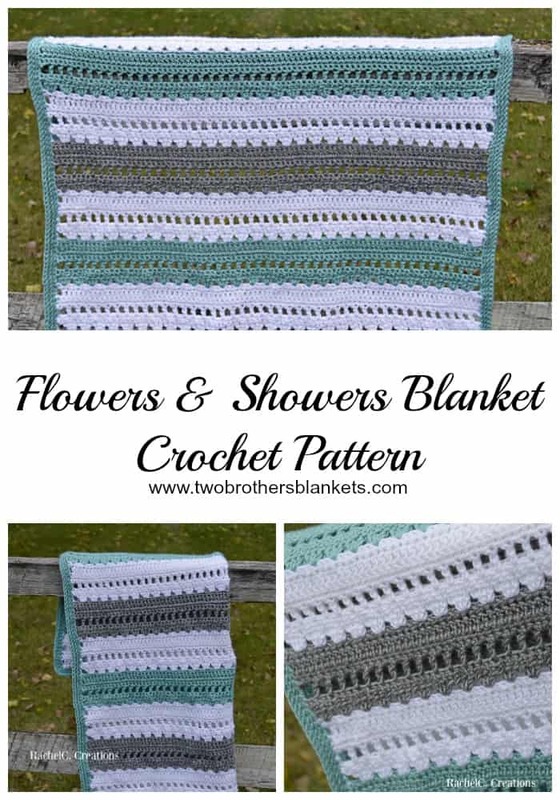 Round 1: Ch 1, turn, sc evenly around entire blanket, working 2 sc in each corner, join to 1st st.
Rounds 2-3: Ch 1, turn, sc in each st around, join to 1st st.
For another great free baby blanket crochet pattern, check out the Flowers & Showers Blanket! 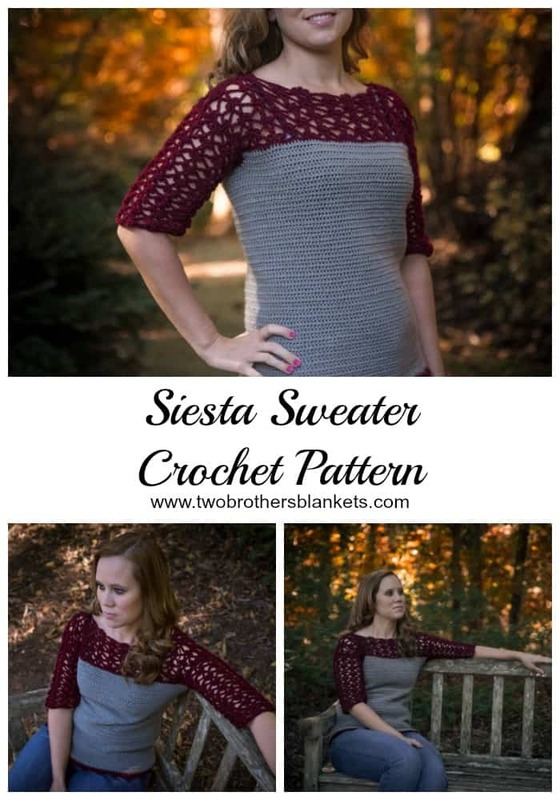 This post- Siesta Sweater Crochet Pattern- may contain affiliate links, which means if you make a purchase from the links below, I will get a small percentage of the sales at no additional cost to you. Thank you for your continued support! The Siesta Sweater is going to be your go to top for both spring and fall! This design has been an idea I’ve had on the back burner since last winter and I finally was able to complete it! I wanted something simple, but that looked intricate! I also wanted something great for transitioning into a new season. It turned out just as beautiful as I had hoped! The Siesta Sweater is made with Knit Picks Brava Sport but you can use any sport weight yarn you have on hand. The pattern difficulty is labeled as intermediate. This sweater is a bottom up sweater with sleeves added at the end. There is only a small amount of seaming at the shoulders. The instructions from this pattern come in women’s sizes XS to 2X. This sweater is fitted with only about one inch of positive ease. If you would like a looser fit, go up one size. The lacy trim is optional, but I feel that it adds a nice finish to the body of the sweater. This crochet pattern uses the herringbone half double crochet stitch, which you can find a tutorial for HERE. I am a left-handed crocheter. If you are a right-handed crocheter the steps will be the same, but you will be working in the opposite direction of the video. If you’re looking for a 3/4 sleeved sweater that is solid instead, check out the Springtime Sweater crochet pattern! It’s quite similar to the look and fit of this one, and great for spring! 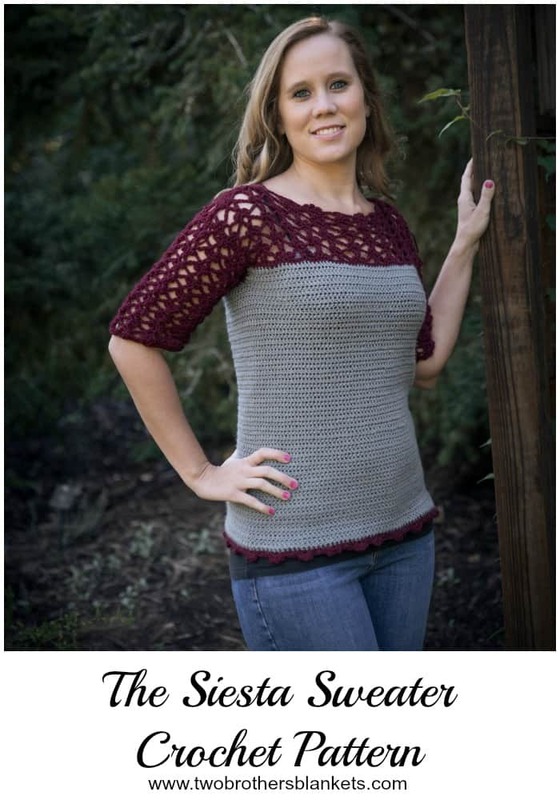 You can purchase the Siesta Sweater crochet pattern on Ravelry and Etsy! 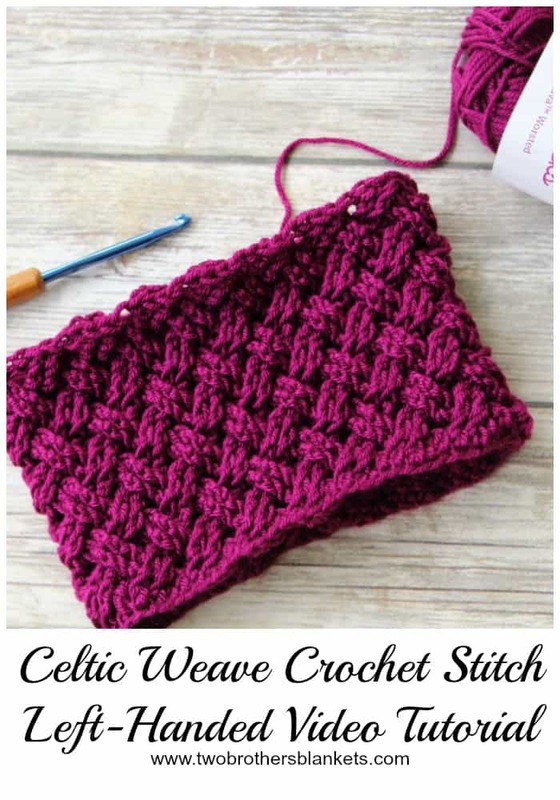 The Celtic Weave crochet stitch is one of my favorite stitches to use in my projects! 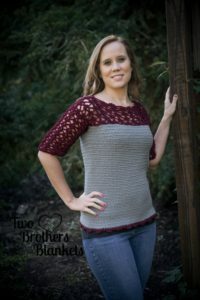 I currently have three patterns published that use the Celtic Weave stitch! This stitch is what I would consider an intermediate crochet stitch. Although once you get the hang of it, it becomes quite easy. I’ve created a video tutorial to show you how to do the Celtic Weave stitch if you are left-handed. 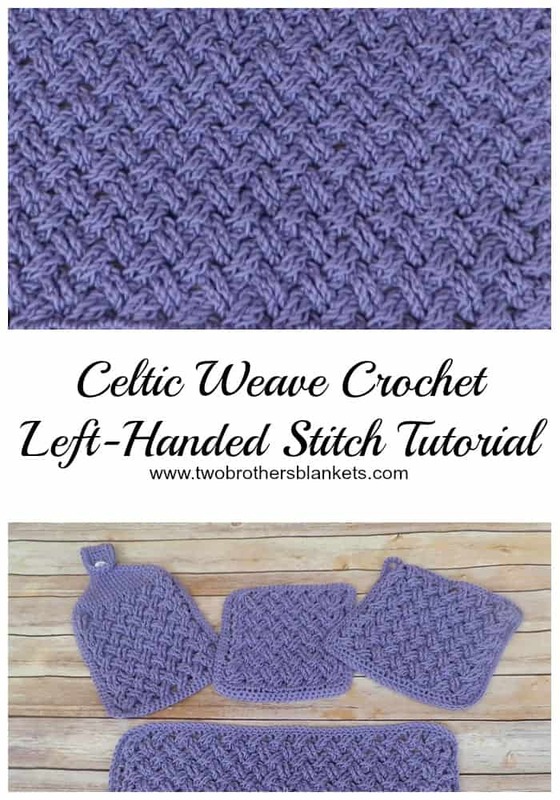 If you are working my Celtic Weave Pillow Cover pattern, my Celtic Weave Kitchen Set pattern, or the Celtic Weave Mini Slouch crochet pattern, this tutorial should be very helpful! 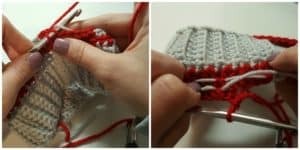 The Celtic Weave Stitch Video Tutorial is made for left handed crocheters, but it can also be helpful for right-handed crocheters. The concept is the same, right-handed crocheters will just be working from right to left, instead of left to right. You can find the full video tutorial on my YouTube channel HERE. The Ferguson Hat crochet pattern has been updated to the new template, re-tested, and re-edited! It was one of my very first patterns, so it needed an updated badly! Today, 9/27/16, when you add it to your cart on Ravelry and use coupon code “Tuesday” at checkout, you will get the pattern absolutely FREE! Just go to the Ravelry link here: http://www.ravelry.com/patterns/library/ferguson-hat to grab your copy! Code expires at midnight est!